Comments Off on ESPN Lays off 100, did they choose the right personnel? 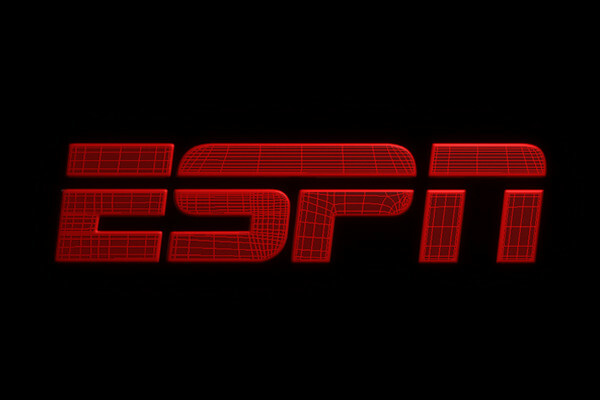 ESPN is in a downward spiral, losing over 12 million subscribers in the past few years. As a result, layoffs were announced; these were in addition to the 300 laid off a year and a half ago. With one caveat, in the past, it was always the extra help that was let go, people operating switchboards, cameras etc. This time it was the talent that faced the camera. Layoffs are not fun or something I ever advocate—even though we are talking about overpriced blowhards, blathering on about social and political issues that they have no reason by which to involve themselves—these are real people, they have families. In some cases like that of now terminated Danny Kanell, he moved his family to Bristol, Connecticut (Home of ESPN) to go all in. Regarding Kanell, anyone who desires to live or relocates to Bristol, Connecticut may need to be checked for having too many concussions. Sarah Walsh, a sportscenter anchor, was laid off a day after returning from maternity leave. Big names laid off include; Ed Werder, Jay Crawford, Trent Dilfer, and Jayson Stark among others, all in all hockey, basketball and baseball coverage got gutted. • National Football League: ESPN paid 15 billion to broadcast Monday Night Football, keep in mind that this is usually the worst game to broadcast due to late start on the east coast, dinner time on the west coast, in addition to being the one game that cannot be “flexed” for a better matchup late in the year. • Major League Baseball: 5.6 billion for MLB, and that usually includes a Wednesday or Tuesday night game as well as the Sunday night prime time game. Baseball is also a dying sport since it takes at least three hours to watch and most of the time the matchup is meh at best, in addition to the season lasting six months. • National Basketball Association: The NBA deal is huge as well, ESPN bid almost double the next competitor, and those games and ratings are all time bad. So what happens when the suits make bad deals in the C-suite? Well the common worker must pay with their jobs. Now I’m not going to cry a river for these guys, as their contracts require them to still be paid until they expire or find new employment elsewhere, and most were making six figures, a few likely getting millions a year in compensation. They focused on the big picture while ignoring a problem that will make cable TV look like the newspaper in a few years. ESPN over the last 15 years has gone on an expansion boom, spawning; ESPN2, ESPNEWS, ESPN Classic, ESPNU, WATCH ESPN, ESPN3, in addition to regional channels such as PAC-12 Network, ACC Network, Longhorn Network and SEC Network. With every channel meaning more rights fees for the parent company Disney. Doing this caused dilution in the long term, the small regional college channels add nothing as when it’s not football or basketball they usually show reruns or gymnastics which no one watches. ESPN classic and news offer zilch, and as a result people started cutting channels out of their cable lineup, and in some cases cutting out ESPN all together. The online access point such as ESPN3 and Watch ESPN have some value to offer, but not being offered correctly. As long as braying lowlifes George Bodenheimer and John Skipper are in charge there is no hope for ESPN, the layoffs will continue and subscriber losses will quicken its pace. Here is some brilliance from Skipper regarding subscription loss a few years ago in an interview with Wall Street Journal. People trading down to lighter cable packages, that impact hasn’t leaked into ad revenue, nor has it leaked into ratings. The people who’ve traded down have tended to not be sports fans, and have tended to be older and less affluent. We still see people coming into pay TV. It remains the widest spread household service in the country after heat and electricity. Yeah…….NO, This is an out of touch suit, cable cutters like X and William are by no means less affluent, and not old, and are sports fans. Maybe we don’t care for the complete garbage emulating from our television when we watch your channels. Let’s dive into this a bit, X binge watched ESPN and its sister channels for a week here is my commentary. My day started at 6 am, watching a four hour daily show called “First Take” not sure what this show was about as two men; Steven “Screaming A” Smith and a something called a Max Kellerman spent every segment screaming and shouting over each other. Literally every single topic and segment, and they argued the dumbest stuff, how good was Tim Tebow, is Lebron James a choker, I mean seriously I want sports not mindless drivel masquerading as commentary. I had an out of body experience thinking I was judge Chamberlain Haller from “My Cousin Vinny” and wanted to yell at the TV I don’t want to hear argument, commentary, or opinion! The show was mercifully over at 10, thank god, apparently it was presented by Subway, I felt like I wanted to be run over by a Subway after watching that waste of time. Immediately following was a 1 hour program called “Mike and Mike”, this was better featuring two hosts and a similar back and forth format, it seemed to regurgitate the same headlines from “First Take” but with better, more controlled chaos. Still didn’t scream watchable, and definitely not something I would go out of my way to tune in to. UPDATE: apparently this is a radio show for 3 hours with the “best of” shown on TV, and the show will be getting a makeover as one of the Mike’s will be getting a separate show in the immediate future. Ryen Russillo follows him, and his entire 3 hour radio program is a bunch of “bro talk” regarding how often he works out, and the different parties he attends. Compelling stuff I cannot fathom why no one listens. Back to the TV side now, as I couldn’t take the radio any longer, neither could my liver. Next, 1.5 hours of my day was devoted to NFL Insiders, a half hour show featuring various out of work former NFL coaches and suits, nothing really discussed here. The following one hour show was NFL Live, this time it was more of a commentary show, which was pointless, actually both shows were pointless, when talking NFL in the middle of the offseason. This show ran every day for the same duration, not being re-run, the emperor really isn’t wearing clothes.